Why did the English government murder Nancy Motsamai? On March 12, 35-year-old South African Nancy Motsamai died. Actually, she was killed by the English government. Why did the English government hate this woman so? According to her husband, Fusi Motsamai, “Nancy was the kind of person who would light up the room with her smile. She loved helping others and volunteered to help at the church with different youth programmes. She believed in justice and used to get cross when injustice happened to others and no one was held accountable for it.” Rest in peace and power Nancy Motsamai. Hamba kahle. The story is short, brutal and all too familiar. The couple had worked in the United Kingdom for over a decade. When they tried to renew their visa, they ran into unspecified difficulties. As a result, they had to report regularly to Eaton House, a Home Office center in west London. On March 7, they showed up for a regular check-in and were told they were to be deported to South Africa that day. While at Eaton House, Nancy Motsamai said she felt unwell. At Heathrow, Nancy Motsamai collapsed. An immigration officer accused her of faking illness. According to Fusi Motsamai, “He told Nancy that he would handcuff her hands and feet and make her walk to the plane like a penguin, and that he would put her onto the plane even if he had to carry her.” He would make her walk to the plane like a penguin. Fusi and Nancy Motsamai were detained, separately, for a night. A nurse said Nancy Motsamai was too sick to be detained. The nurse was overruled. The next day, Fusi and Nancy Motsamai were released. Nancy Motsamai collapsed. Five days later, March 12, Nancy Motsamai died … of a pulmonary embolism. Then, the English government failed, or refused, to return Nancy Motsamai’s passport to her husband, which meant she could not be transported to South Africa for burial. Despite numerous requests from the family, the so-called Home Office never returned Nancy Motsamai’s passport. Instead, the country’s high commission provided a special travel document, and so, only on April 5, Nancy Motsamai returned to South Africa. Will a “thorough investigation” bring Nancy Motsamai back? Did it bring Angolan asylum seeker Jimmy Mubenga? Did it bring Jamaican Christine Case? No, and now the children just can’t stop crying. Home Office, keep your thoughts and condolences to yourself. Nancy Motsamai would light up the room. Your “responsibility” blots out the sun. In England, children are being sent into “secure training centres” where they are brutalized by staff. 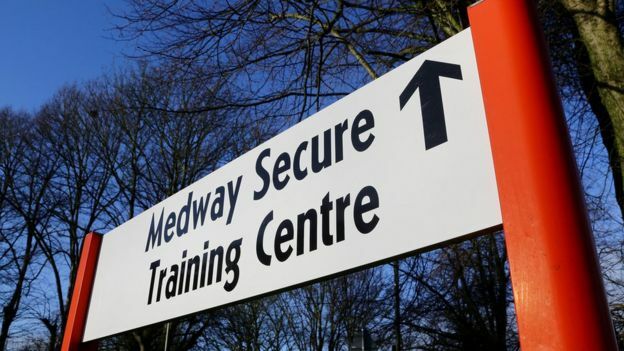 On Monday, the BBC aired an undercover report concerning Medway Secure Training Centre. The program showed children, girls and boys, aged 12 to 17, physically and verbally abused by staff, morning, noon, and night. The program also showed staff conspiring to conceal their misdeeds. While dismaying and heart wrenching, none of this is new or shocking. Physical, verbal and mental abuse amounting to torture is the norm in juvenile centers, and it’s not merely the actions of one or two staff members. Violence against children is State policy. Many have noted that Medway is managed by G4S. While certainly the contract with G4S should be rescinded and the money repaid, it’s not only Medway that is “rotten to the core.” It’s the entire institution of State and social responsibility for children. Behind institutionalized fraud lies institutional violence against children, and that, again, is State public policy. Whatever the reason that children end up in cages called “secure training centres”, the bottom line is that the State has decided they are to blame for everything that happens to them from here on out. That’s why deaths of children in custody, such as those of Adam Rickwood, 14 years old, and Gareth Myatt, 15 years old, in 2004, produce investigations and commissions of inquiry and then absolutely no change. The United Kingdom has three kinds of institutions for “juvenile offenders”: secure children’s homes; secure training centres; and young offender institutions. Secure children’s homes actually look after the children’s welfare and well-being. They cost more than the “training” centers. In the past decade, the number of secure children’s homes has been cut, while the budgets for “training” centers has ballooned. This didn’t just happen. The State chose to send children into the night and fog of secure training, where it was widely known that “force”, call it violence, is used more often and more energetically. When children become training, what else can you expect? Where there is no collectivity, there is no collective shame. Where there is no memory, there is never enough. The commissions will not produce more secure children’s homes. They will rename secure training centers, relocate them, paint the walls a pastel `soothing’ color, and continue to torture children. 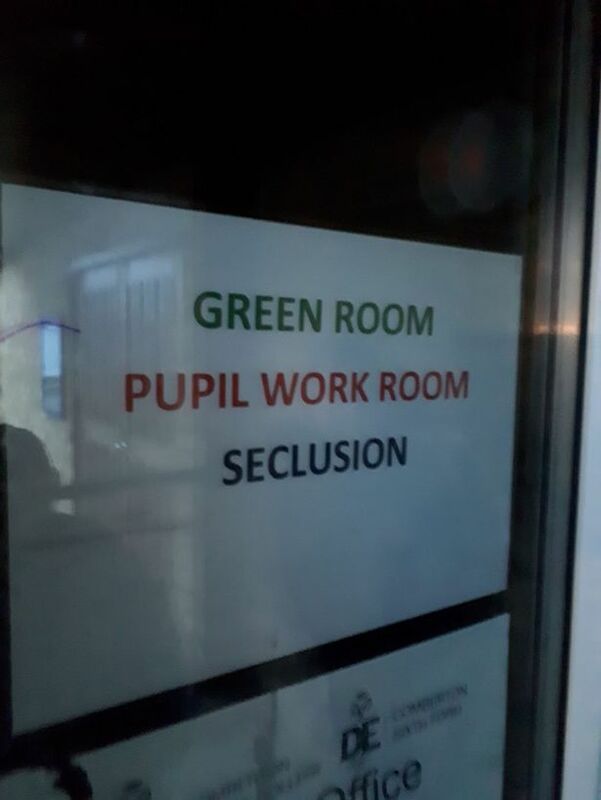 England built a special hell for children, and Medway Secure Training Centre is not its name. It’s name is England.